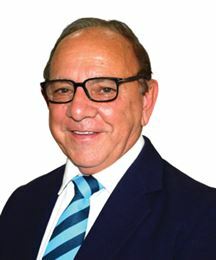 David Patrick entered the property industry in 1980 when he joined his Dad trading as Ed Patrick Estates at the back of his mothers’ cushion shop in Perks Arcade in Pietermaritzburg, Over the years the business has grown to be one of the top three firms in Pietermaritzburg. 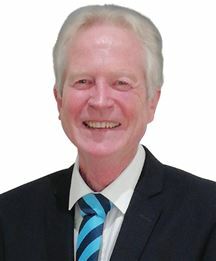 Education has always been a focus for David and has obtained various industry related qualifications including the Certificate of the Institute of Estate Agents, Diploma in Advanced Property Practice, Certificate of Residential Specialist (SA) and has been appointed by the Minister of Justice as a Sworn Appraiser. David also studied as a Property Valuer by obtaining the National Diploma in Real Estate with Technikon SA and is a registered Professional Associated Valuer. David has sold real estate with a value in excess of R100 million over the years and has won numerous awards at the annual Harcourts Conferences. On a personal note, David is a devoted husband to Jenni and father of two boys and is interested in the outdoors and sport. David has completed many Dusi Canoe Marathons and Comrades Marathons and believes that keeping fit is very important. If you want to deal with an experienced estate agent and property valuer, then you need to contact David Patrick. Whether you want to sell or purchase property his enthusiasm, energy and patient advice will assist you in getting the job done! I have been in the Real Estate business for 41 years. My aim is to satisfy both buyers and sellers. I thoroughly enjoy selling property as It is so pleasing and rewarding when both buyer and seller are happy and the fact that you are helping someone conclude possibly the biggest purchase in their life. EEAB examination, CRS, Diploma in Advanced Property practice. M.I.E.S.A ; E.A.B.E : CRS (SA) Principal Albie started in the real estate industry as an Estate agent in November 1987. After Three and a half years he moved to Natal Property consultants as a Principal and Shareholder. Two and a half years thereafter Rowney & Rennie Homenet, restructured and he moved across as a Principal and Partner. Albie then joined Harcourts Patrick & Co (ex-Parklane) in 2012. Over the years he has attended numerous courses, seminars and conferences, and continually keeps himself updated with the training to run a successful estate agency. He enjoys being active and runs and cycles most days. He also likes traveling. The industry has become a lot more professional and he prides himself in giving ethical service, and works hard at putting his clients first. In accordance with the new educational requirements, Albie has completed his NQF L5. 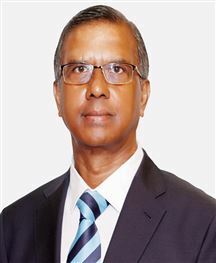 Alec Kistiah, an Accountant with a NQF 7 qualification has been in the financial field for many years, with his last position as a Manager in Finance of a large utility where he served for 30 years. Although his interest is in the field of finance he always had a passion for the property market. He now combines his financial background with the Harcourts professional training to fulfill his client’s needs and aspirations and is committed to building a personal relationship with his clients to assist them in making their dream of owning a home a reality. Born on a farm in Eastwolds, where isiZulu was my first language taught to me by playmates on the farm, I spent my early childhood simply with good honest friends, country values, and where a handshake was still accepted as a total commitment to any agreement. Moving to the City in the 1950’s, Pietermaritzburg became my home where I have lived ever since. I can really be considered a ”Maritzburg boy” with a loving, supportive family - wife, children, grandchildren and have always had the interests of the City and its citizens at heart. My recreational interests are friends and family, the outdoors, nature, birdwatching, people, motorcycling, music and earlier on marathon running to include ultra-marathons like the Comrades Marathon, mountain hiking and walking. Even after completing various degrees, diplomas and certificates associated with property and people, the property industry Real Estate has always remained my passion. I studied and successfully passed The Estate Agent’s Board Exam and qualified as a Real Estate Agent on 03 March 1988, certification No:EAB11491/E. With an excellent and disciplined grounding with the Town and Regional Planning Commission for 18 years, I was thereafter presented with the opportunity to join, as a Director and develop a small, busy and effective private Environmental and Property Project Development Company. This included, as well, all the management responsibilities associated with directing a company and a staff of 16 individuals for 15 years. During this exciting, creative experience I was consulted on many varied property development projects, malls recently being extended and townships, contributing to the expansion of the City and seeing Pietermaritzburg growing from a “Sleepy Hollow” status over the years to the now large and growing economic hub “City of Choice”, that it is today. What I can offer to my clients As a knowledgeable Property Consultant, I importantly keep up to date with the latest Real Estate property trends and changing property legislation on a National and more importantly a Local level with special attention on the uMgungundlovu/Msunduzi Municipal areas and Pietermaritzburg’s Central Business District and expanding suburbs. Knowledge and understanding of economics, property values, development control laws, zonings, restrictive title deed clauses, Surveyor General Office diagrams, building restrictions laws amongst others are just some of the basic details paramount in all property transactions in order to meet the client’s investment needs, which I offer as part of my service. I also take into consideration the important nuances of public opinions, participation and consultation, when necessary to determine what people want personally, politically, socially and economically of where to affordably live, work and play. I have developed an excellent eye for detail due to the heavy demands of previous experience. I have thus developed the ability to work under pressure as a knowledgeable Property Consultant, with a wide skill-set on property matters. I have developed over this period working relationships resulting in an advantageous professional network and have now been able to follow the career that has really been my passion from the start. I personally look forward to meeting you and doing business with you. Whether you’re buying, selling, needing advice to value your property, do not hesitate to contact me, in these exciting times of change and opportunity, as our beautiful Country and Pietermaritzburg and its people grow from strength to strength. My Career Goals To me the Real Estate business is something I love to do every day and I feel privileged to be of service to the Industry and its clients – to be able to satisfy clients in assisting them to find the home or property that meets their and their family’s personal needs and affordability in the appropriate socio-economic neighbourhood. It is most satisfying to achieve this match with patience and dedication to meet the client’s requirements. There is no greater thrill for me than going home at night knowing that I have helped a family or investor to make the correct property investment. My career goals in the Property Industry provide me with ever changing challenges in a fast paced environment, to use my education, knowledge and creative skills-set within a professional property organization such as Harcourts. In doing so I wish to promote the values, ethics and integrity of Harcourts, which is a market leading, Internationally based Company, into which I can bring fresh insights, add value to the business, and most importantly its clients, while stimulating my personal growth within this progressive company and the Property Industry, as a whole. 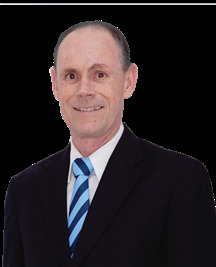 Clive Lang has been in the property business since 1992 as a qualified Professional Property Valuer and Real Estate Agent. Clive's background is Agricultural, also having received his Diploma in Agriculture at Cedara Agricultural College., in Kwa-Zulu Natal, South Africa. He has worked on farms both in South Africa and overseas (England/Scotland/Israel). He is qualified and registered with The South African Council for the Property Valuers Profession. (SACVCP /3999), as well as being registered as an Appraiser with the Department of Justice. Together with his wife, Michelle, they manage the HARCOURTS MIDLANDS Office for Mr. David Patrick, Business Owner of Harcourts Patrick & Co in the Kwa-Zulu Natal Midlands, servicing the areas of Nottingham Road, Rosetta, Kamberg, Mooi River, Middelrus, Hidcote, Giants Castle and Estcourt. Fiona joined the family business in 1990. She is known to go the extra mile for her clients! The Sellers & Buyers can relax as Fiona takes care of every detail of the transaction. If you are looking for a stress free sale, contact Fiona for all your property requirements. Gleryl is a top agent and has recently received her Sapphire Pin in recognition of her superb sales. She is a happy and energetic person who has been in real estate for 13 years and understands the emotions of people when selling or buying. Laurra, has been in the property industry for many years, she specialises in selling in the surrounding areas of the Pietermaritzburg CBD. Laurra has a reputation for looking after her clients very well and turning them into clients for life and has been an agent for 10years. I am an "All Maritzburg Girl" having lived in Pietermaritzburg my whole life. I have now been a Property Consultant for 27 years and started my career in 1990. I qualified in March 1990 under the Estate Agents Board Exam (EABE) qualification. In 2011 I qualified with an NQF4 which is now a requirement of the Board. Over the years i have kept up to date with the latest technology and Legislation needed. I have met so many wonderful clients both Buying and Selling and believe in listening to what the clients want and need and being there to assist in ALL areas of the process. I go the extra mile and take my career very seriously. I have adopted a personal approach and will always put your needs first. Experience, commitment and honesty are some of the qualities I offer. I look forward to meeting you. 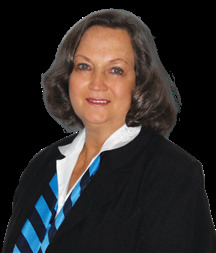 Michelle Lang has been a registered Estate Agent in the Mooi River and surrounding Midlands district for the past 25 + years. She is qualified as a Principal Agent (PDE : NQF5) and was the Business Owner for many years of Gateway Real Estate CC and more recently Harcourts Midlands, however she is now a Senior Sales Consultant and managing the HARCOURTS MIDLANDS branch for Mr. David Patrick, Business Owner of Harcourts Patrick & Co. Michelle specializes in Residential, Smallholdings, and Country Guest Houses. 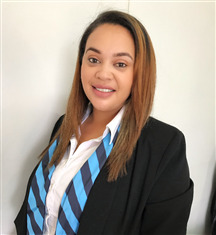 She and with her husband Clive, who is a qualified and registered Professional Associated Property Valuer specialising in Agricultural properties service the Country areas of Nottingham Road, Rosetta, Mooi River, Kamberg, Giants Castle, Hidcote and Estcourt, in the Natal Midlands. Born in Pietermaritzburg , I am an avid sportsman, having achieved my Springbok colours in weightlifting and powerlifting. Married for 47 years, I have 4 children and 4 grandchildren. 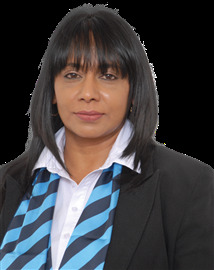 Prior to my successful career in real estate, spanning 27 years with one company where I have won numerous awards for listing and selling in the Multi Listing Group , I was a teacher of mathematics at Edendale Technical College . During my career in real estate I have always felt that patience and integrity have been the key to my success. I am now honoured to be joining Harcourts Patrick & Co and I would like all my former clients to know that they will receive the same quality service and expertise that they have had in the past. Sbu is an energetic consultant who will go the extra mile for you! With his many years of banking experience in property finance and PIP departments, Sbu will be able to provide you with not only excellent service levels but also the right advice! Always being so welcoming to all clients and keeping her finger on the pulse all the time. Belinda covers many aspects of the business and if she can't help you, she will make sure the right person does. Elana is one of the most diplomatic persons in our office. She will handle the biggest crisis with a smile on her face. She handles all the financial queries at our Rental Department. Scottsville One In A Million!